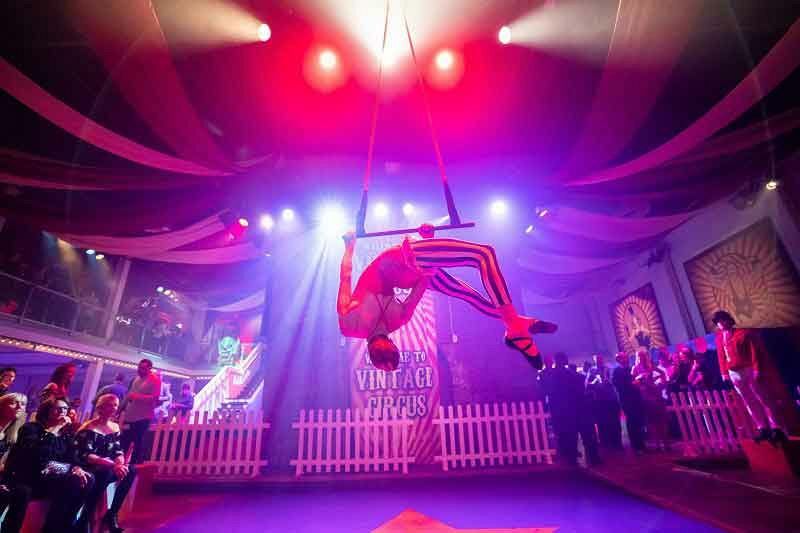 This Christmas in Shoreditch, you’re invited to enjoy the greatest show on earth and celebrate the festive season in style with an evening at the fabulous Vintage Circus! 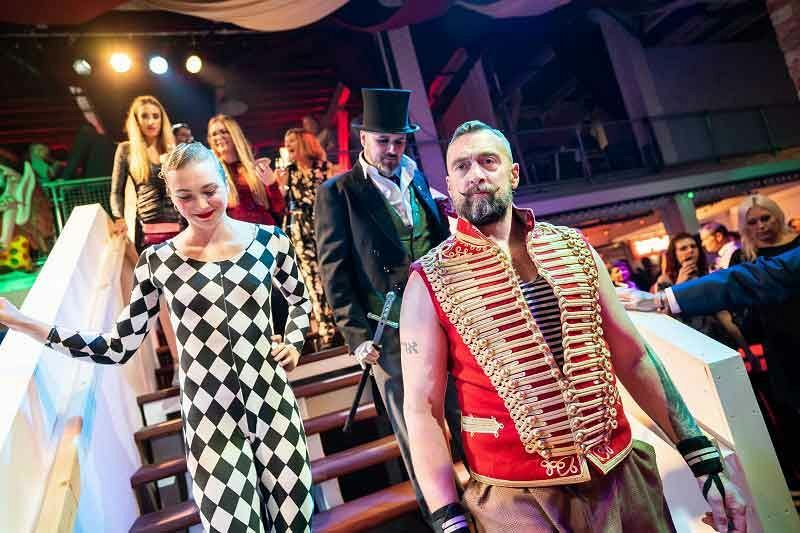 This exclusive party night is the perfect idea for those seeking something a little different this year – accommodating up to 600 guests in this spectacular warehouse, everyone will be treated to an evening of weird and wonderful entertainment, exquisite food and delicious drink! On arrival, you and your guests will be greeted by the great unknown, as you make your way through the mysterious doorway where the circus ringmaster will beckon you and lead you to the circus arena, where you’ll prepare for the evening ahead that’s filled with some truly marvellous entertainment. Enjoy a fabulous drinks reception on arrival and mark the start of the evening in style. Guests will love exploring this vintage warehouse which features a delightful selection of delicious food options from the scrumptious street food sellers. Feeling thirsty? Why not head to one of the fantastic themed bars and grab yourself an ice-cold drink to quench your thirst? During the evening, guests will be entertained with performances from the eclectic cast, who will take it in turns to wow you with their talents from the festoon lit draped ceiling. After that, continue exploring and discover everything else that’s on offer; challenge the strongman, see into your future with a palm reading or just try your luck and skills at the fun fair side stalls. There will be plenty of photo opportunities throughout the evening, but if there’s one thing you must do, it’s paying the photobooth a visit – round up your friends and strike a pose! 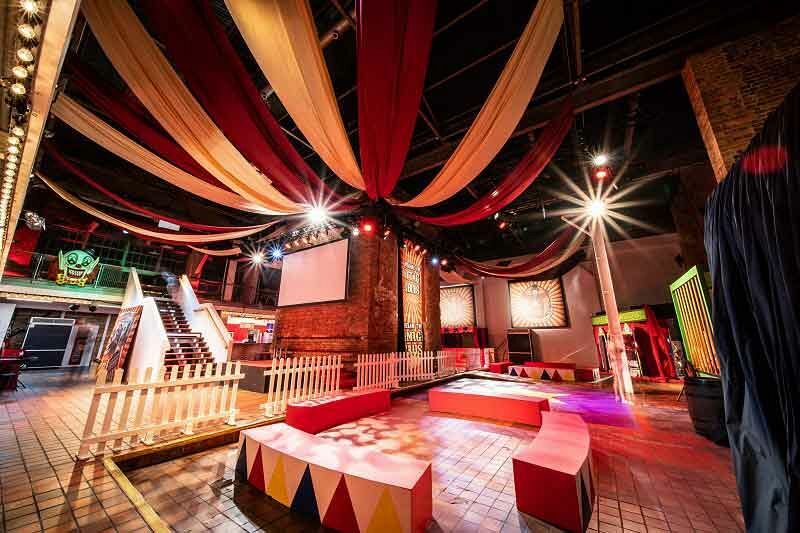 After that, it’ll be time to hit the dancefloor, so get ready to let your hair down and party with the resident in-house DJ who will be playing all the best tunes on the circus ring dancefloor! 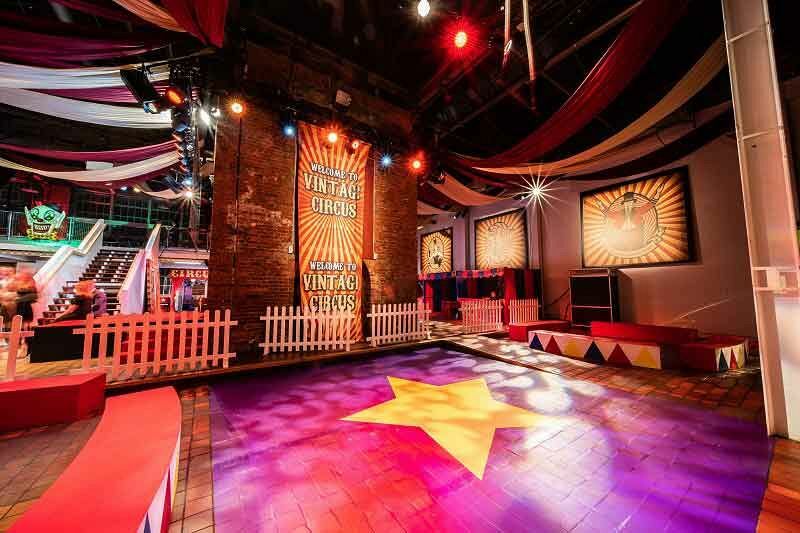 Make it a night remember and send an enquiry through today to make the first steps in booking your exclusive vintage circus themed Christmas celebration!